** JUST WON BEST OF TOUR** MODELS ARE NOTHING COMPARED TO THS GEM. 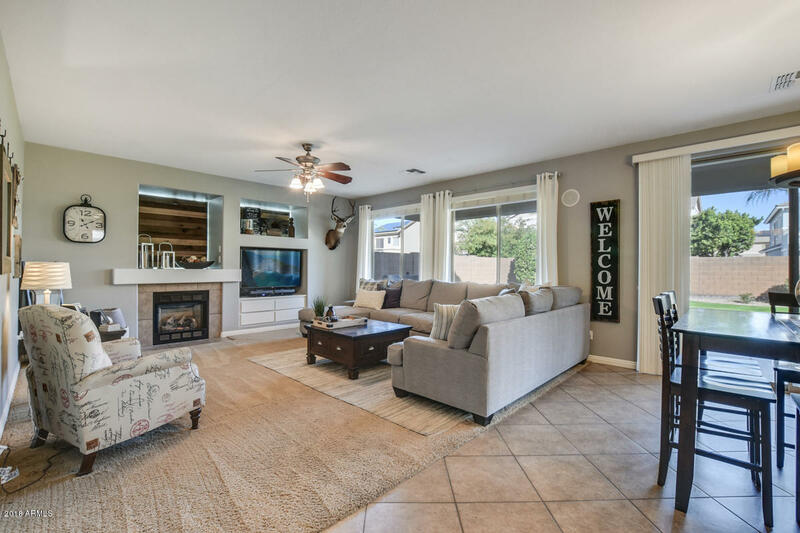 UPGRADES GALORE SET THIS GORGEOUS OPEN FLOORPLAN APART FROM OTHER HOMES IN THE NEIGHBORHOOD... INCLUDING MAPLE CABINETS, GRANITE COUNTERTOPS, NEW SS APPLIANCES, GRANITEX TUB SHOWER AND COUNTERTOPS IN MASTER BEDROOM, SURROUND SOUND OR PREWIRE IN FAMILY ROOM LOFT AND BACK PORCH,. HUGE MASTER BEDROOM WITH ENORMOUS WALKIN CLOSET. 1 BEDROOM DOWNSTAIRS FOR GUESTS OR OFFICE. MISSION STYLE BANNISTERS. TECH CENTER OVERLOOKS FORMAL LIVING ROOM WITH 20 FOOT CEILINGS. SEPARATE LARGE LOFT AREA FOR KIDS TO PLAY. CUSTOM PAINT. 8 FOOT DOORS AND 4 INCH BASEBOARDS THROUGHOUT HOME. BEAUTIFULLY LANDSCAPED FRONT AND BACK WITH ENOUGH ROOM TO ADD A POOL AND STILL HAVE ROOM TO PLAY.